Since we are in the business of hot sauce reviewing, it only made sense that we provided “This Silly Girl” with a recipe that we find amazing whether you are into hot sauce or not! It is an old-time favorite and one that I’m sure all of our moms or grandmas have made throughout the years – hot stuffed green peppers. 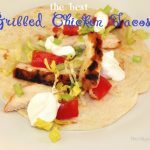 I remember Sunday afternoons when I was growing up and the smell of the green peppers throughout the house made me salivate the rest of the day – and I was just a young lad and didn’t even know the first thing about cooking! Oh how times have changed and now I figured it would go over well sharing our little hot stuffed green pepper recipe with all of you. Try to get through it without having your stomach growl for some right away! Hope the pictures do the recipe justice, just finished the latest of our kitchen makeovers at the house, as I play the part of Mr. Mom and general contractor. Now on with the recipe. 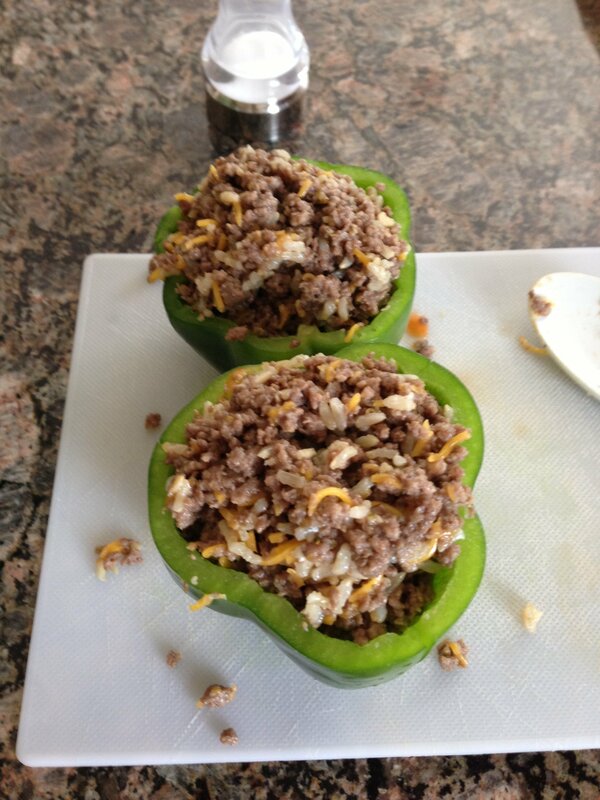 · Brown ground beef with Lawry Season salt and salt and pepper (add amount based on preference). 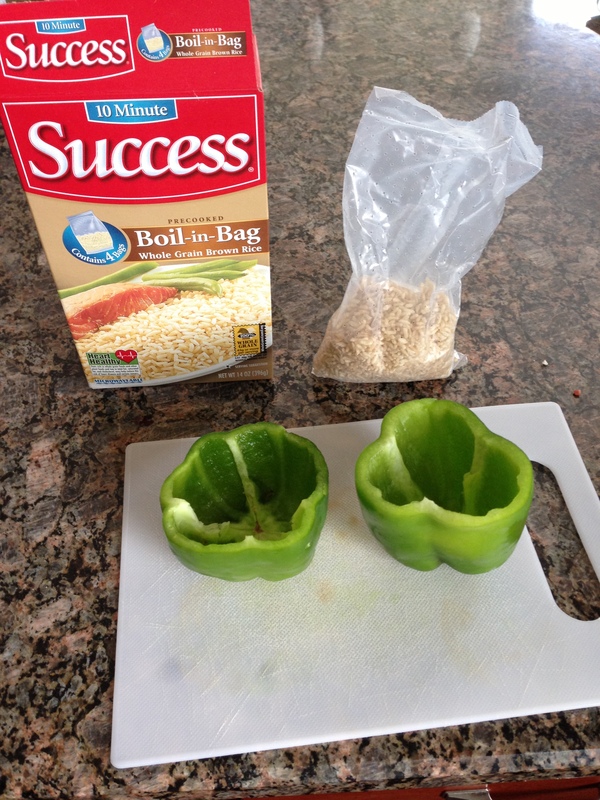 · Cut top of Green peppers off and clean out inside slice down each side to allow room to expand. · Cook rice ¾ of recommended directions. · Open one can of soup pour in deep pot and add have a can of water, set to low heat. · Combine in bowl: Beef, bread crumbs, rice, Franks Red Hot, Cheddar Cheese, egg. 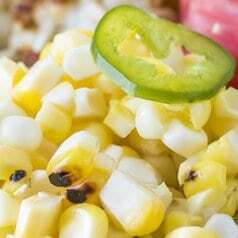 · Fill each pepper with mixture. · Place in deep pot, sitting inside soup. 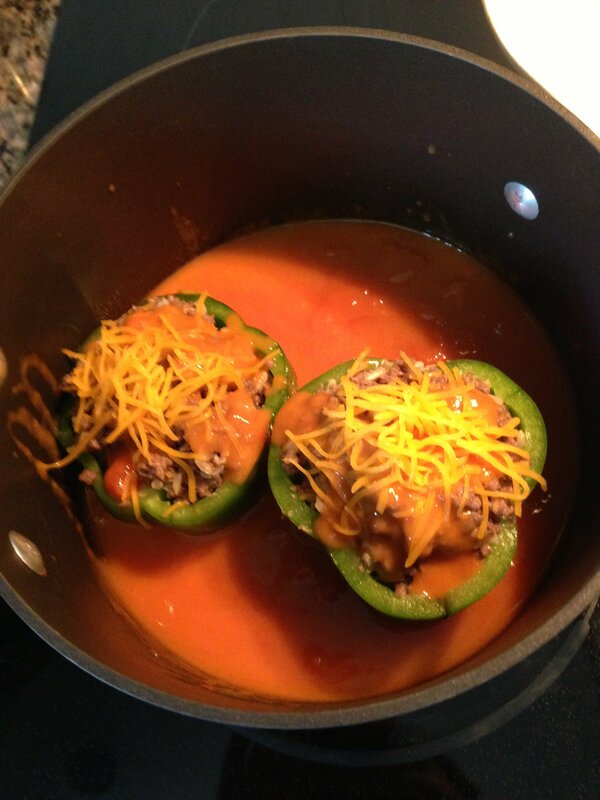 · Add spoonful of hot soup mixture to top of each pepper; top with Cheddar cheese. 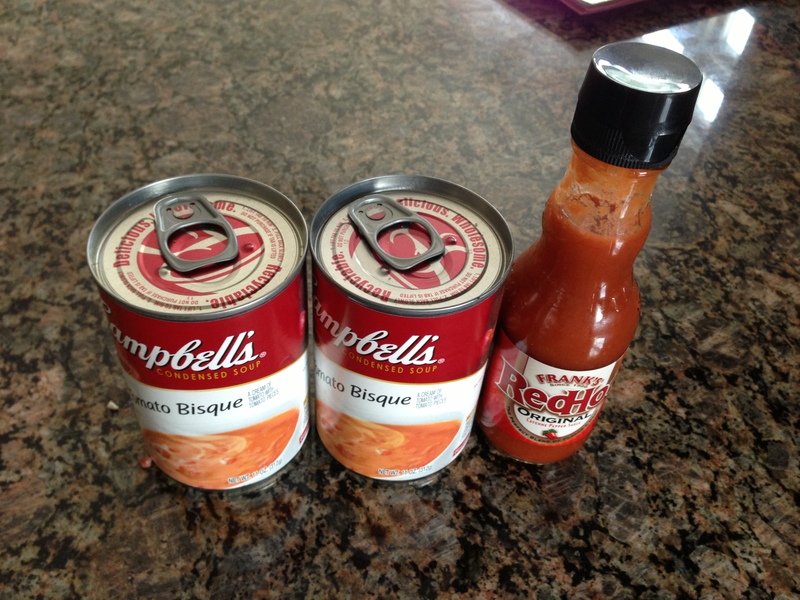 · Add second can of soup and half cup of water to bottom of pot. · Simmer at medium heat 25 mins. ; soup will boil off and on. 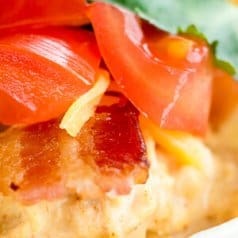 · Serve hot, and use remaining soup as a topping sauce for peppers. In my house, depending on how many green peppers you actually cut up, serves that many. I typically eat two myself, but don’t put it past me to eat 3-4! The best thing is that the leftovers are just as good – just heat it up and add a little more hot sauce and it will be like you just finished making it in the first place. Enjoy and thanks for allowing us to take the time to share it with all of you! Thanks so much for reading! Are you interested in guest posting with This Silly Girl? 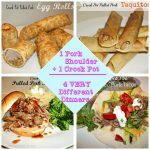 Check out more information on my guest posting page! In my house, depending on how many green peppers you actually cut up, serves that many. I typically eat two myself, but don’t put it past me to eat 3-4! The best thing is that the leftovers are just as good – just heat it up and add a little more hot sauce and it will be like you just finished making it in the first place. Brown ground beef with Lawry Season salt and salt and pepper (add amount based on preference). Cook rice ¾ of recommended directions. Combine in bowl: Beef, bread crumbs, rice, Franks Red Hot, Cheddar Cheese, egg. Place in deep pot, sitting inside soup. Add spoonful of hot soup mixture to top of each pepper; top with Cheddar cheese. I am following you from Happy Blessed Home. 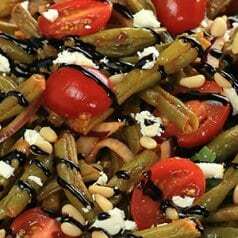 Those sounded so yummy and it is almost lunch time. When I printed off the recipe – I lost the connection to you and had to go back through Monica’s blog. That’s weird, thanks for letting me know and dropping by! 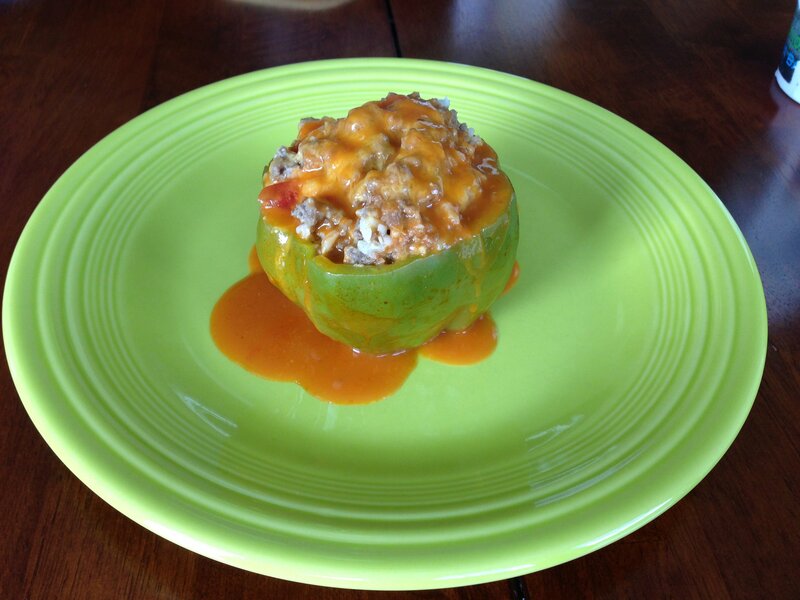 I love stuffed peppers, hubby loves hot sauce – a great combo! thanks for the recipe.